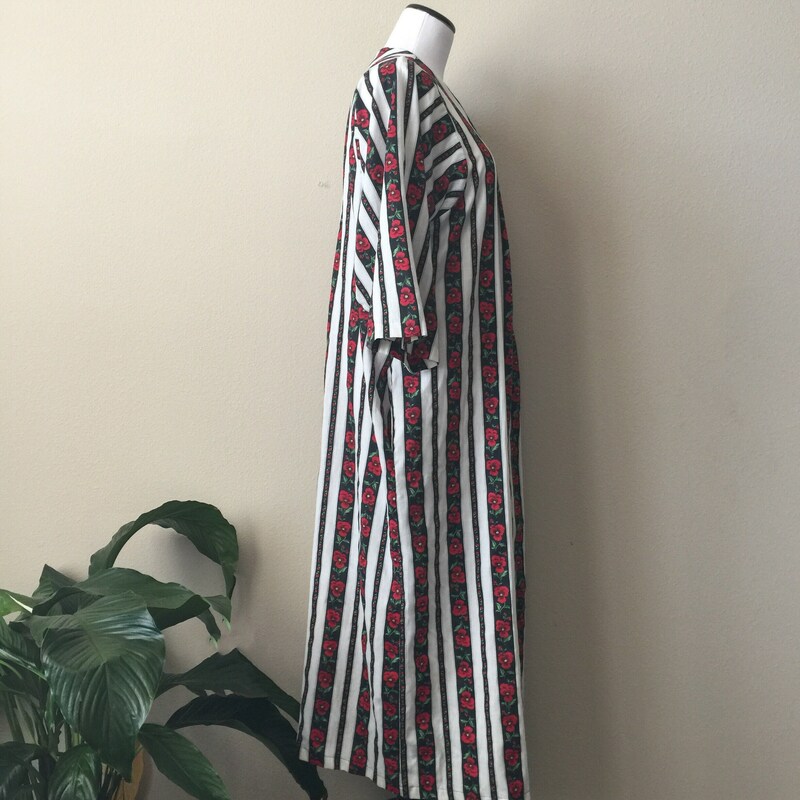 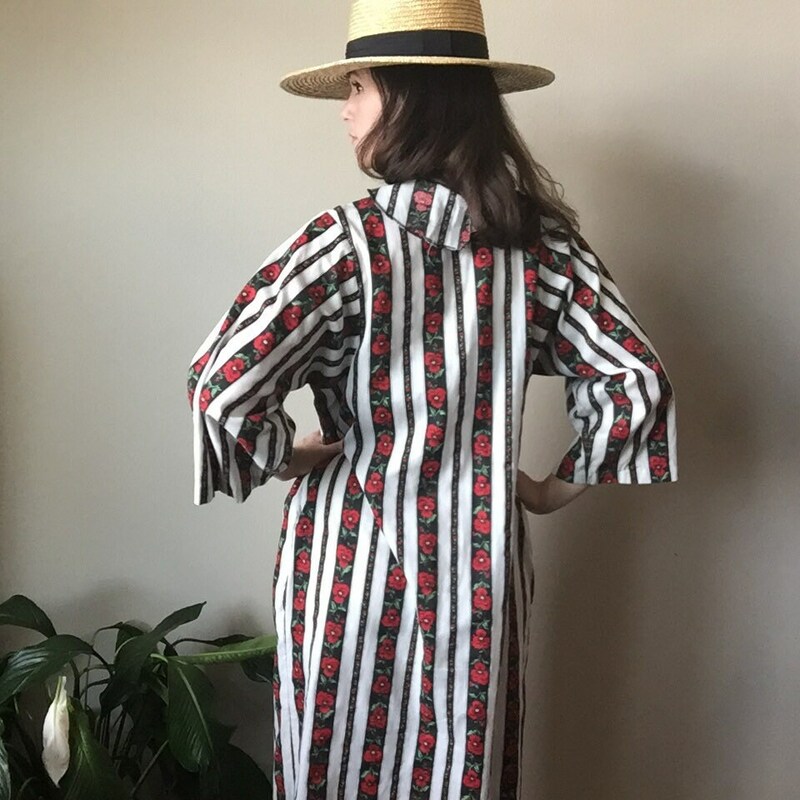 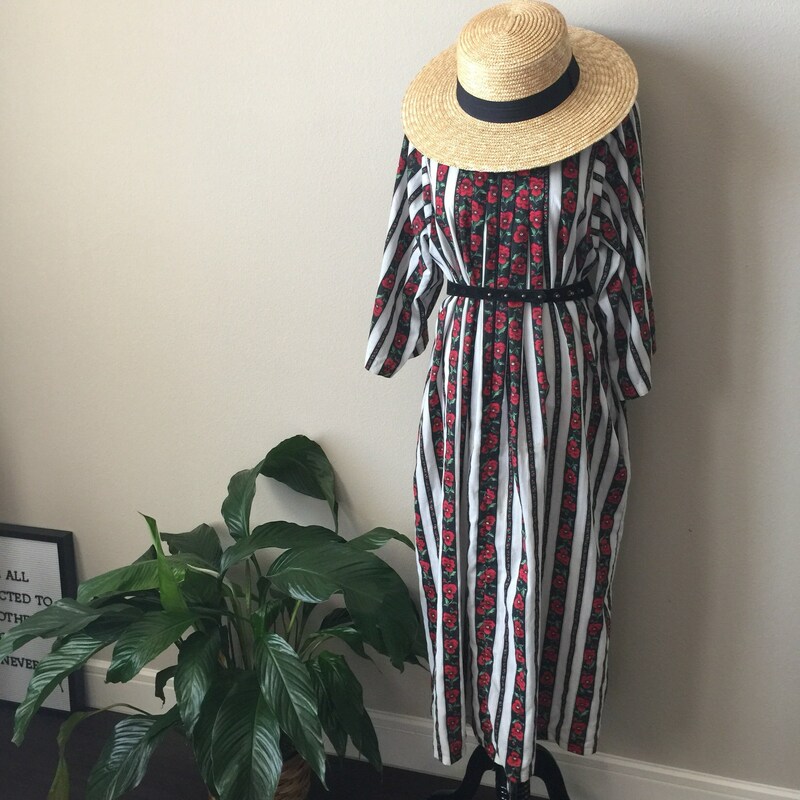 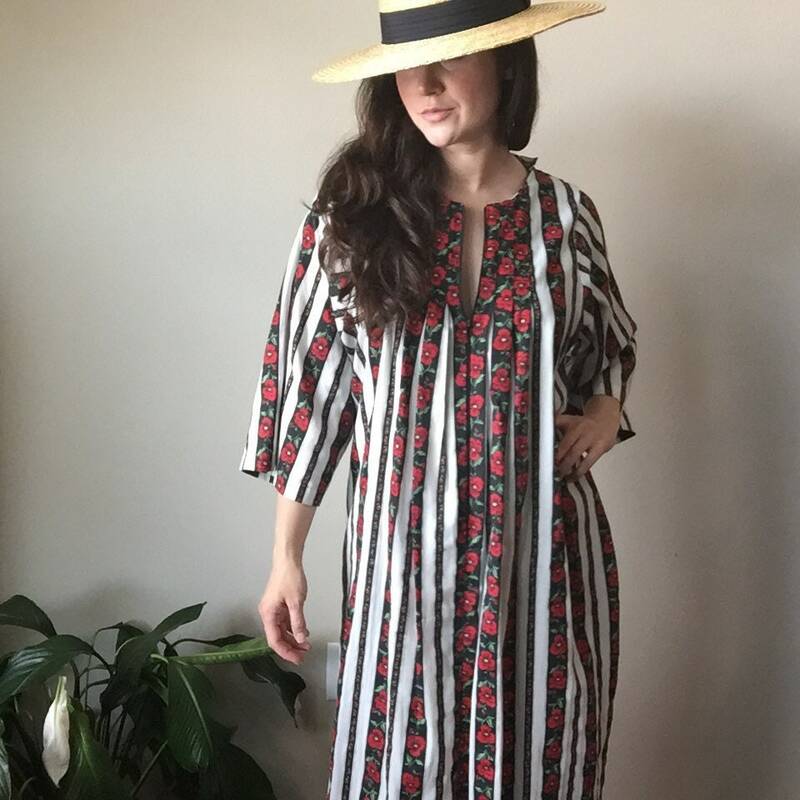 Super soft and lightweight vintage maxi dress featuring black and white stripes and florals. 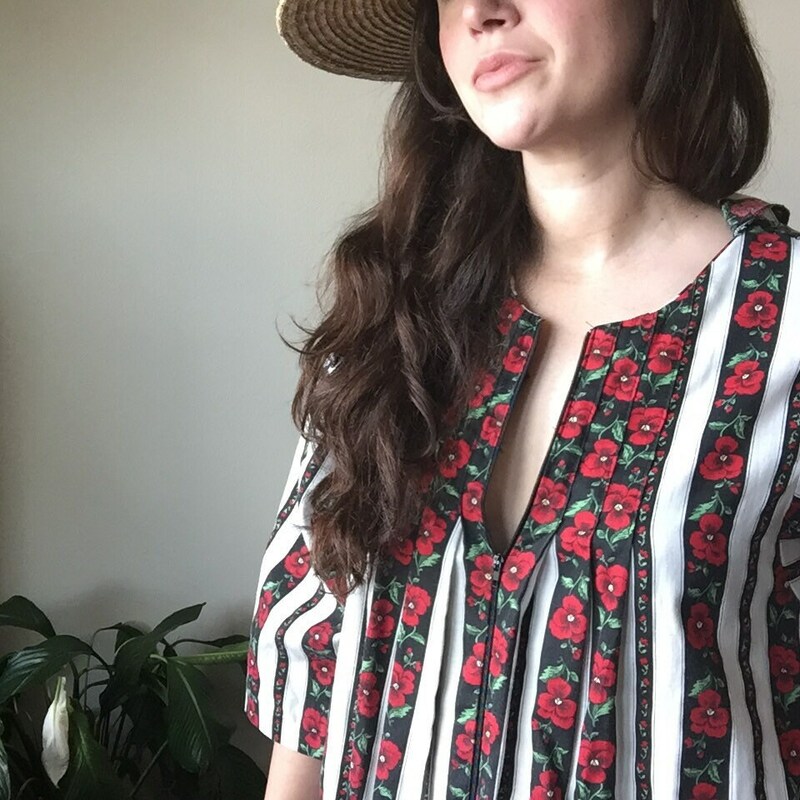 Zip front. 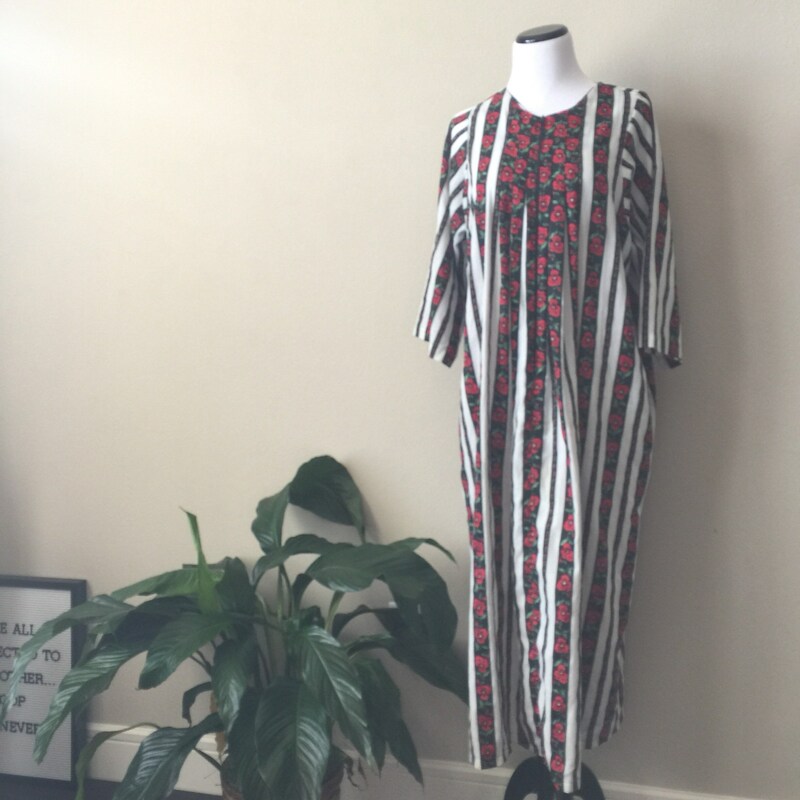 Great condition - fits size S-M (pictured on a size Small mannequin).